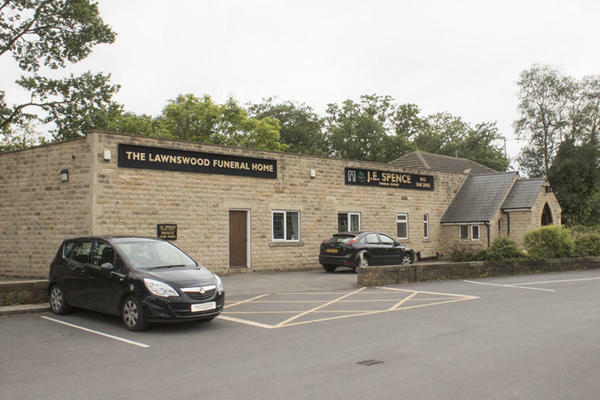 J E Spence Funeral Directors in Adel, Leeds, believe that life with those we love is deeply personal. We are here to help you plan the perfect farewell for your loved one. Our dedicated professionals will listen carefully to your requests, helping you to arrange a fitting celebration of life. Our funeral home in North Leeds is situated on Otley Road, between Cookridge, Holt Park, Weetwood and Alwoodley. We are also accessible from the nearby villages of Arthington and Bramhope. We have extensive experience conducting funeral services for our cherished local community. We use this knowledge and expertise to ensure that every detail of your loved one's funeral is just as you want it to be. When you need us most, we will never be more than a phone call away. You can get in touch with us at any time of the day. Call us at a time that suits you. At J E Spence Funeral Directors, we understand how special life is with those that you love. For us, every funeral is unique and personal. We have a service to fulfil every wish, with every detail carried out with the same uncompromising quality of care. From a traditional service, to a colourful woodland burial, your options are limitless with our Full Service Funeral. If you have a little more flexibility when it comes to arrangements, then we can provide a Simple Funeral for a lower cost. There is a large, free public car park at the front of the funeral home. We are situated directly opposite Lawnswood Crematorium. Our staff are available 24 hours a day on 0113 268 2842 if you require our services outside of these hours. Very helpful staff. Every attention to detail. Listened and acted on request and provided all the information requested. A great help at this difficult time. Many thanks. We received a very professional service from Joanna and Colin at J.E Spence and were very satisfied with the whole service. The circumstances of my sister's death were not straightforward, as the Coroner and police were involved and this resulted in delays in being able to finalise the funeral details. Joanna regularly kept us up to date on the progress and made the whole operation as easy as possible, under the circumstances. J E spence worked closely with the church, making our part in organising the funeral a lot less stressful. This feedback relates to funeral invoicing during 2018 in respect of my mother's funeral. I have already provided this feedback and have settled with Dignity, so this is simply a repeat. Last year you invoiced 3x for the additional costs of my mothers funeral. The first invoice was sent 4 months after the funeral and I wrote to ask why the delay. It had also been sent to the wrong address. I received no reply. I was then sent further invoices - and the third invoice included a threat of interest payments. I wrote back after the second invoice and then phoned to complain after the 3rd. We settled by agreeing to pay half the invoice (my father's choice) and I had a very pleasant call from a local service manager to apologise. As I was saying to your colleague on the phone yesterday, our experience suggested that Dignity had become too compartmentalised to process our correspondence appropriate. Thank you for your review and for your feedback. I am glad to hear that the issues you encountered have been addressed. Excellent service and very pleasant staff. Colin was very professional but with that all-important personal touch, and we found him very helpful, thoughtful and courteous, doing everything he could to ensure that everything went smoothly and in accordance with our wishes at a very difficult time. We wouldn't hesitate to recommend J E Spence to others. Excellent service from James who went above and beyond the call of duty. Nothing too much trouble and we knew we were in very safe hands at such a stressful family time. Thank you. From the moment we rang following my father's death we felt very supported. The staff were very helpful in arranging the funeral to fit with close relatives from abroad. We appreciated flexibility with the details of the funeral service, which enabled friends and family to be very involved. Communication was excellent including after the funeral day. Thank you for sharing your experience with us on your online review. I am pleased that you and your family were so well looked after and that all of your wishes and requirements were carried out by the team as you had requested.